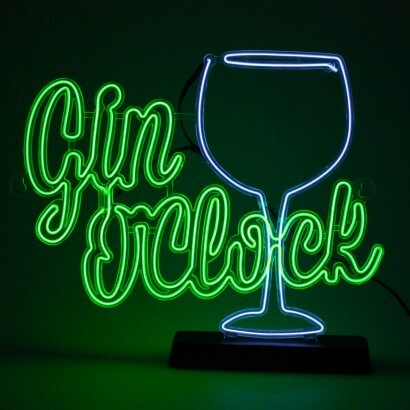 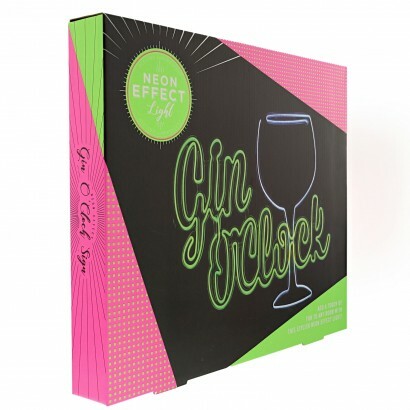 If it's 5 O'Clock, then it's Gin O'Clock which means that it's time to pour your favourite tipple and bask in the vibrant green glow from this very cool neon effect Gin O'Clock sign! 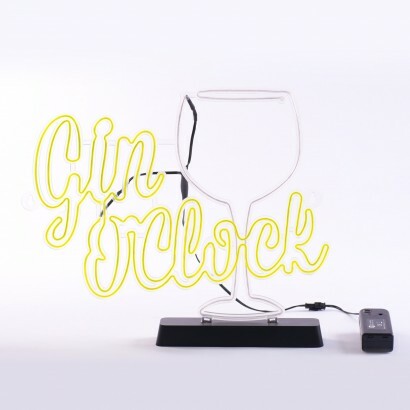 Made with electro luminescent wire that's safer than real neon and cool to the touch, this funky retro styled sign has three cool modes; static, flash and strobe; so that you can let everyone know just what time of day it is! 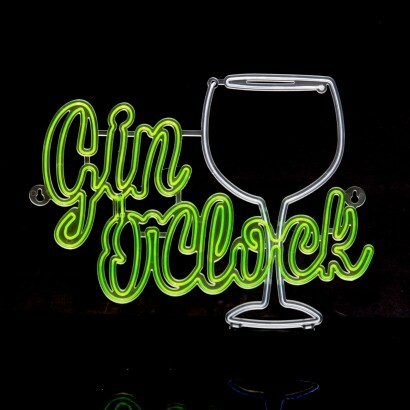 Gather your friends and enjoy a drink or two, or signal to the other half that you're done for the day; when this sign goes on, everyone knows where they stand! 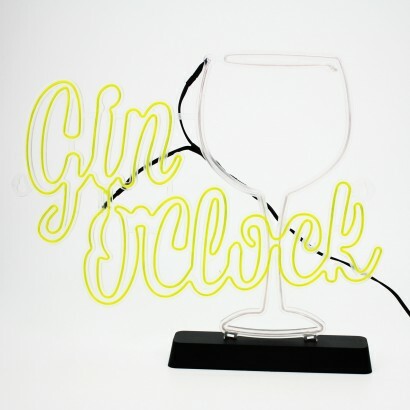 Battery operated, this funky retro sign can be placed anywhere using the free standing base included, or can be wall mounted for a more permanent fixture.